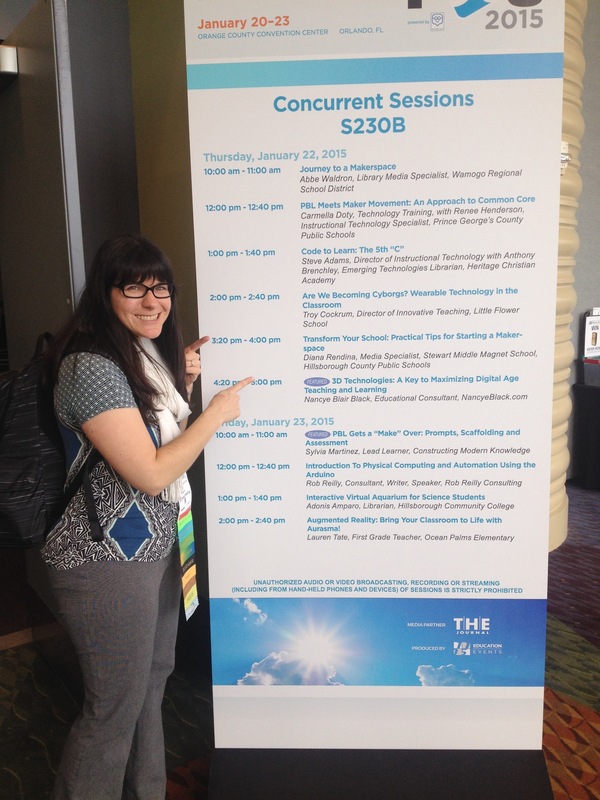 Way back in January, I attended and presented at the Florida Educational Technology Conference in Orlando. Since it’s only an hour away, I’ve been attending this conference every year since I started as a media specialist five years ago. Most years I just went to the vendor hall, until last year when I started attending sessions. This year was my first time attending the entire conference, and also my first time presenting, and it was amazing. 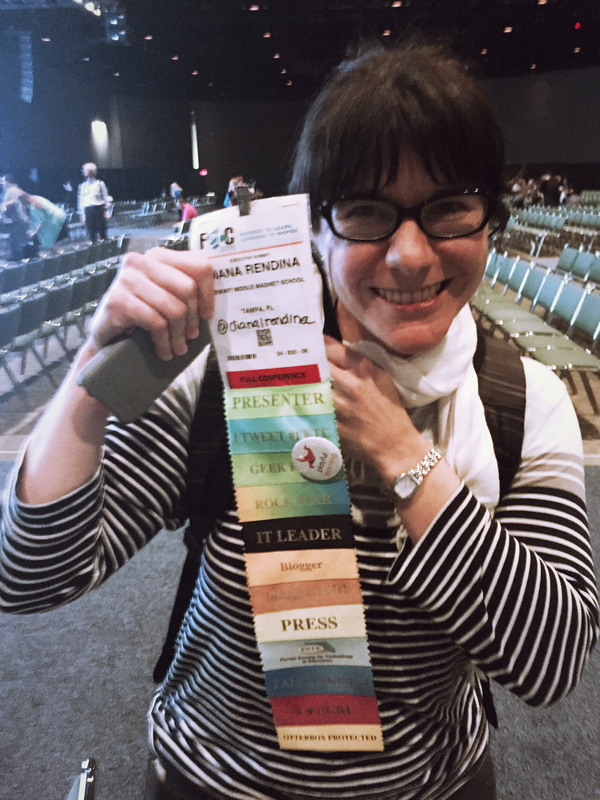 Rather than give you a play-by-play of which sessions I went to and what I learned in each session, I want to take a broader look at my experience at FETC as a whole. To me, the best things about conferences isn’t all the amazing sessions, the cool gadgets in the vendor hall, or the endless swag. The best thing at a conference is getting to meet and be around inspirational fellow educators. 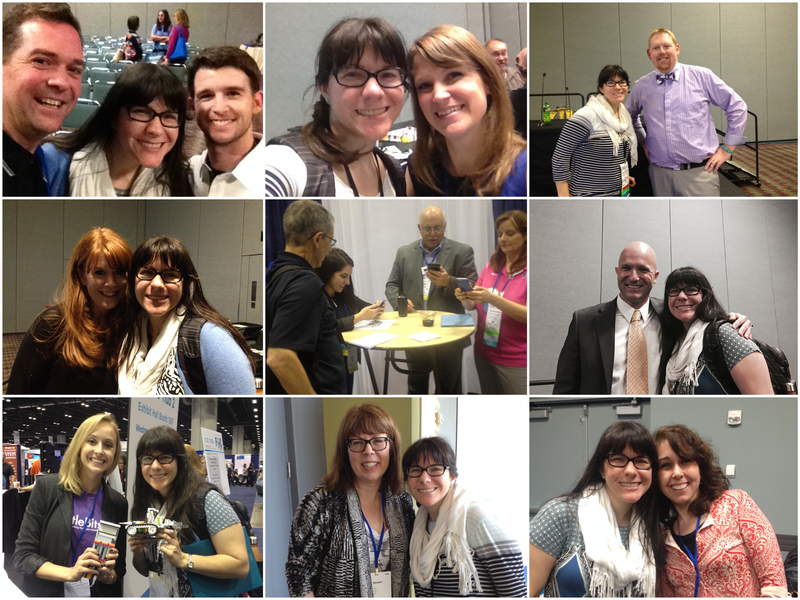 Conferences really were the beginning of my connected educator journey. I love the opportunity to meet up with friends and people who have inspired me. While reading blogs, participating in Twitter chats, and watching webinars are all great, there’s nothing quite like talking to someone face-to-face. I did, in fact, check out some gadgets in the vendor hall too. I’ve decided that I seriously need one of these locker style charging stations for my library – how cool would that be for my students? I also got my first chance to play with a 3Doodler – those things are harder to control than they look. 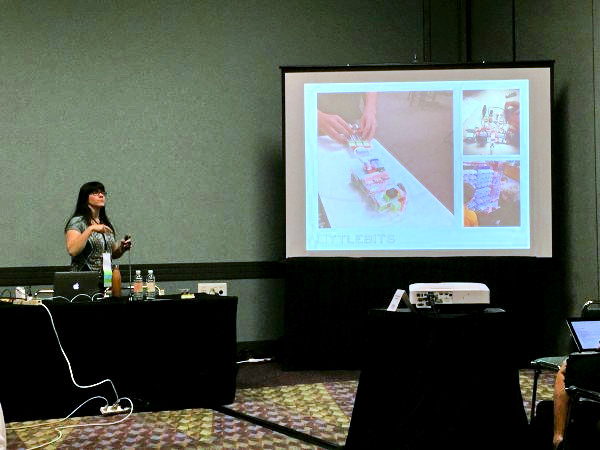 My friends at littleBits in the Makers Hub were awesome and I was happy to see so many people tinkering and playing. I got to try out zSpace, which is a pretty awesome virtual reality education system. 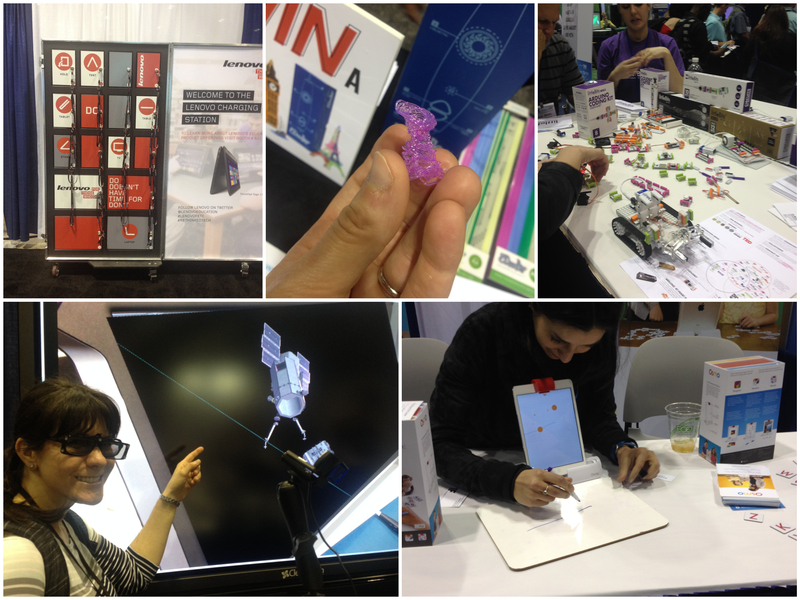 And I got to play a little with Osmo, which is pretty ridiculously fun. Probably the biggest conference game-changer for me has been branching out into presenting. There is such a thrill in getting to share my experiences with others. I always get nervous, but it’s immensely satisfying to hear from people who attend my sessions about how they’re going to start a Makerspace when they get back, or how they’ve built a LEGO wall in their library. Conferences should be about give and take – I always used to just attend to get information and inspiration from others. It really makes a difference to also give back and help others. It’s amazingly fulfilling. Do you attend educational conferences? What’s your favorite part? I have a question about Lego wall base plates. Are they Lego brand or a generic? I used LEGO brand, which I got through Kaplan through a DonorsChoose project. Thanks for the blog post. 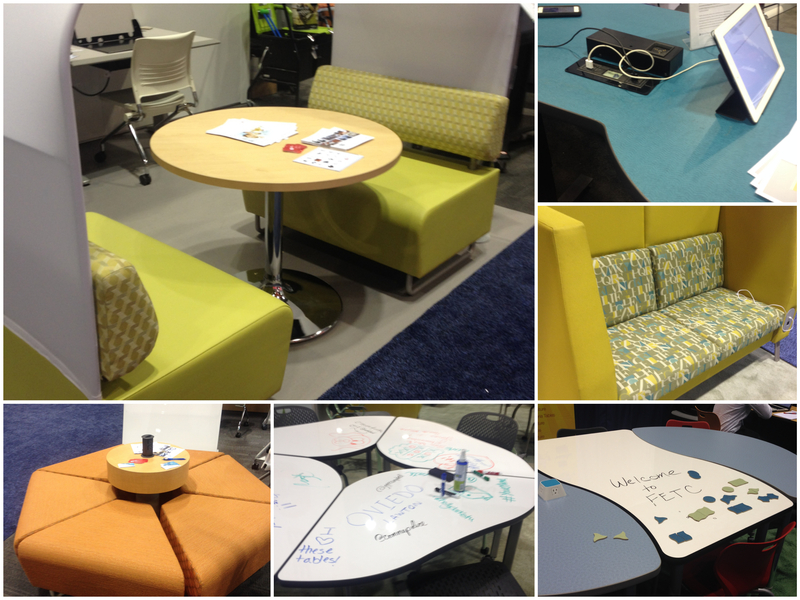 I stumbled upon it as I was researching FETC reviews and liked it!